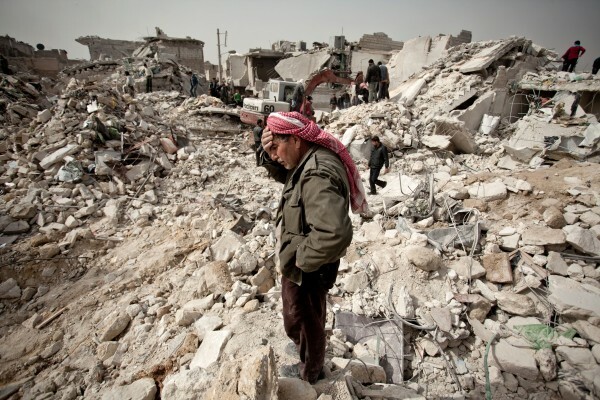 Everywhere you look; tv or social media, you read/see about the refugees and their fate. But what strikes me more and more is the way people are talking about other people. The way my country is handling this worldwide problem. Or not handling it to be honest. The way some are talking is shameful to say the least. The Netherlands has always been known for its tolerance but over the years we have become the least tolerant country in Europe I think. 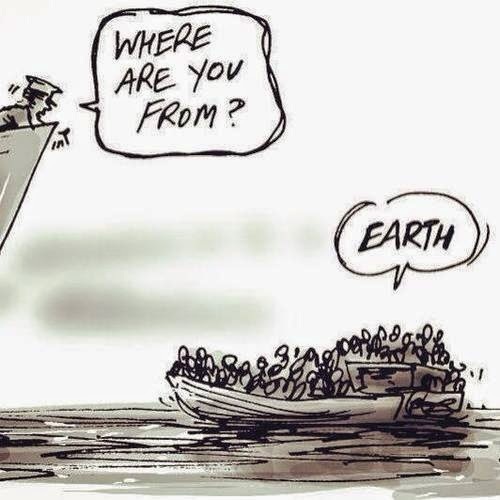 It's shocking how some people are talking about the boat refugees. What they are saying I shall not repeat but it's horrible and inhumane. Yes, cruel even. You are not worth to be calling yourself part of the human race if you talk about other humans like that. Even animals treat each other better. A lot of refugees don't run from their country because of economical reasons; sure there always will be some that do and the media is always putting it's focus on them, but most of them flee from their country because they simply have to. Because of Al Quada, ISIS or other extremist groups. They don't have a choice. If they would, they would simply stay. They would not leave their belongings and pick up only a few things and their entire family, if even that, and make the hard and often dangerous journey to freedom from persecution. Most people scream bloody murder that 'the Muslims are taking over' but it's just nonsense. A lot of them are fleeing because they are Christians and can't be who they want to be in their own country, or for their sexual orientation. Let's face it; who would dare take an overcrowded ship with the risk of sinking in the middle of the ocean with small children if they didn't have too? The reactions are also often out of ignorance but even then; did they all really forget what happened in WOII? When lots of people were persecuted for being 'the wrong race' or being different? We are all equal; we are all human. It is time we started to help each other instead of pointing fingers and blaming. Let's just make it a better world for everyone to live in, not only in your little corner of the world. For this blog I needed pics and saw the most horrid photos of cut off heads done by those extremists... I didn't put them on here but those pics might have made an impact on those hateful and spiteful commentors. 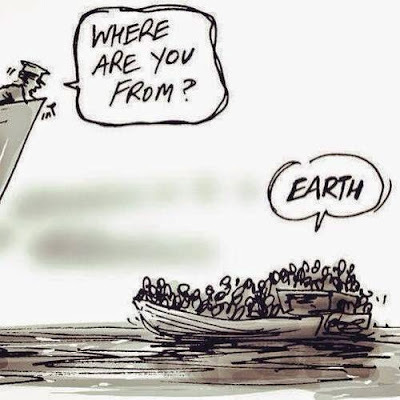 Helping the refugees is something all of the world should do, not only Greece and Italy where they first land. We all need to take our responsibility. I read that about 207.000 refugees have come to Europe so far; that's 8625 per member state; about 2156 families per country. That's not so much now is it? Can't we all just help those people, like we would want to be helped, like we were helped when we were at war so many years ago? Agree. 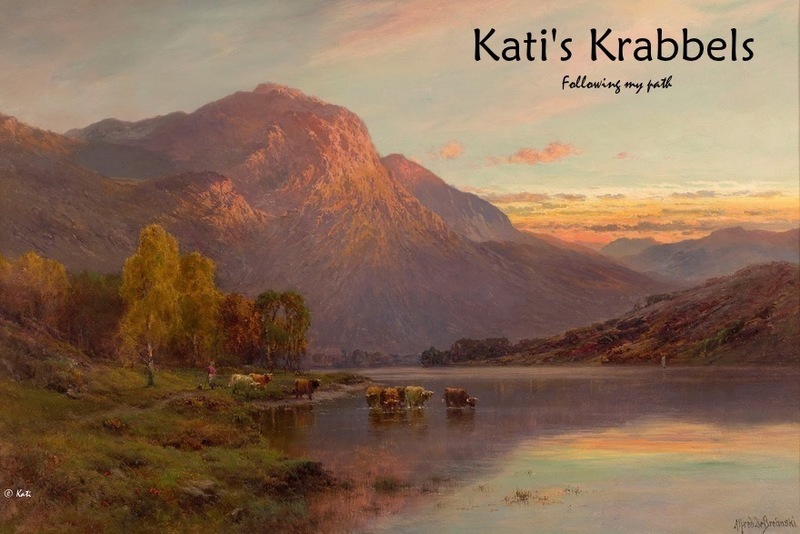 Good blog, Kati. One thing tho.... For me ISIS is the Mother Goddess of the Egytian Pantheon. The barbarians do not deserve this name. That is my convinction. I call them 'is' . Small letters. Because, the use of the name ISIS (in capitals) is to me the way to honour these barbarous creatures. And they do not deserve any positive word. Now't! Latest news: Mother en both children can officially stay. The father will be evicted. Bitter Sweet again and a lot of sadness in this family. Elidir, it totally agree on the is thing but it's the internationally known namettherefore I used it. On the Dutch Angolan eviction matter; it's a disgrace how our government treat people who have lived here for that long, some are sent back who were born here! How on earth is that even possible? Yes the kids and mother can stay but why should the dad leave? He deserted the Angolan army for a reason right? Shameful! Thank you so much Yam! I admit I do too little with G+ to know how it really works, but I'm happy with your comment. :) I need to read more myself if I have the time. I am stunned. How can anyone say such a thing with dry eyes? 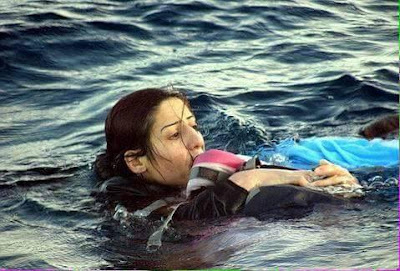 i personally don't think that anybody should drown trying to flee the country that they came from, hoping to find solace and safety, but i can understand that there are people who are scared of the massive influx they keep seeing on the news... it doesn't justify what they say in the safety of an anonymous internet forum, or sometimes even with their facebook profiles in full view, but is it really so hard to attempt to understand? ?